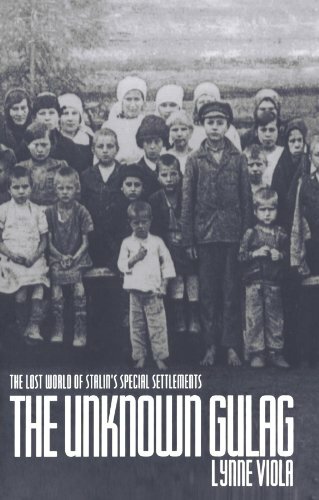 Lynne Viola’s The Unknown Gulag argues that the first and most heinous of Stalin’s notorious purges was the attack on wealthy or successful peasants known as kulaks, and their exile to desolate special settlements in the late 1920s and early 1930s. This account of “dekulakization,” is vital in understanding how the Bolshevik experiment with the New Economic Policy, or NEP (a limited market economy with communist party control), abruptly ended in the late 1920s when Stalin launched the radical industrialization and collectivization goals of the Five Year Plans. The NEP economy had allowed peasants to maintain their key prize of the revolution, land ownership, but this concession was seen by many Bolsheviks as undesirable and temporary and was ended by Stalin’s breakneck drive towards rapid industrialization, which required total state control of agriculture. The internal “colonial” settlements that housed the supposed “enemy” elements of the peasant population, were the foundation of what Solzhenitsyn later called the “Gulag Archipelago.” They set the precedent for the processes of political repression in the Stalinist Soviet Union, but among Stalinist crimes they are relatively “unknown” or understudied by historians. Viola asserts that the attempted elimination of the kulaks as “class enemies” was a disaster. The project was unrealistic, based on ideology rather than realistic planning; it was fiercely resisted, and only exacerbated the socio-economic problems of the USSR it was meant to solve. Viola guides the reader through the full chronology of the dekulakization campaign by exploring the thinking of officials who organized a war against the peasantry, the construction of kulak identity, transport to exile, and the settlement conditions. Concurrently, Viola’s narrative humanizes the victims by unearthing grim accounts of the horrific deportation process and internment conditions, as families were loaded into trains and subjected to unspeakable conditions in settlements and by contrasting that reality with the deceptive propaganda used to disparage the kulaks in public. 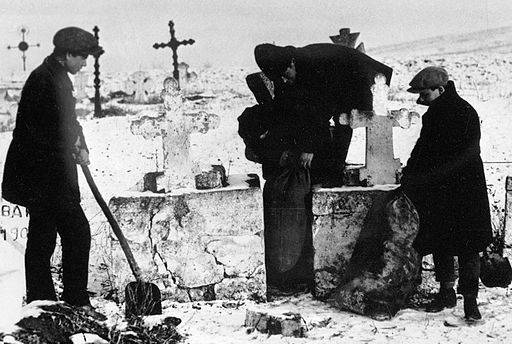 Victims’ testimonies are further supported by the first hand accounts of Soviet officials who confirmed the nightmarish conditions, particularly during the famine of 1932-33. By outlining the conditions in the countryside, initial orders from above, the “classifications” of peasants as kulaks, and the workings of the OGPU (Secret Police), Viola allows the reader to understand the archival evidence of kulak repression in the context of the inter-war USSR. 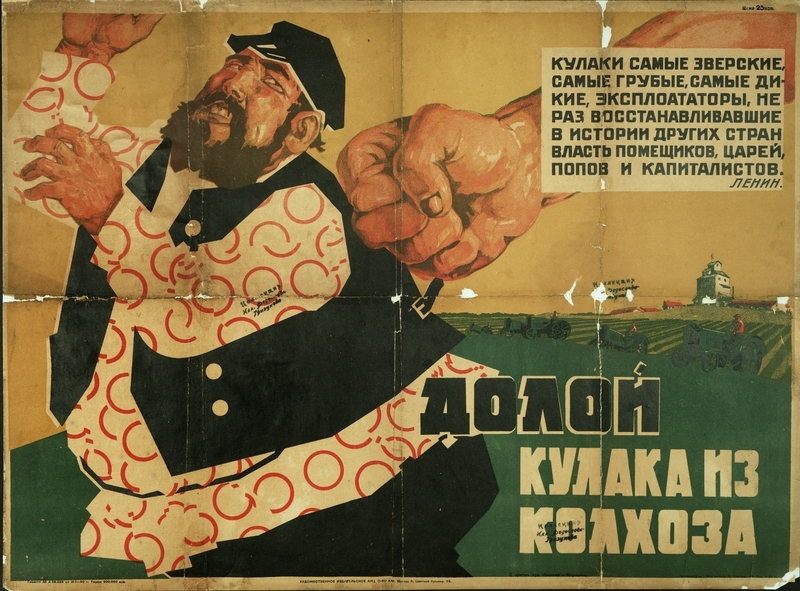 According to the author, the kulak identity was a form of “internal colonization” similar to western European ideas about the need to “civilize” the colonized races, but focused on the transformation of the peasants through “socialist reeducation.” However, Soviet attempts to apply progressive reasoning to dekulakization is exposed as almost entirely superficial and Viola stresses that the real effect was the creation of a kulak identity defined as an exploited class of peasants that was treated as resource for economic and state development. The haphazard building of special settlements and the authorities’ lack of preparation for the surviving deportees confirms the hypocrisy of a Soviet policy that hoped to exploit labor, only to have many able-bodied people die because they had no shelter or food. This kulak identity was internalized by all the victims, even the ones who came back into the Soviet mainstream through service during World War Two or repatriation after the death of Stalin. Equally important was the fact that this system of gulags did nothing to ameliorate the Russian and Soviet problems of rural underdevelopment, but merely created a Soviet superpower as a “Leviathan” built on the backs of the peasantry. In sum, Viola convincingly argues that the “unknown gulag” provided the slave labor crucial to sustaining an otherwise unsustainable planned-economy and constructed a social distinction between those peasants moving up through the Soviet system and those enslaved as counter-revolutionaries. Anyone interested in Stalin’s Soviet Union will benefit from reading the Unknown Gulag because Viola successfully humanizes the victims of Stalin’s first attempt at reshaping the economic and social structure of the Soviet Union, while thoroughly examining the people and ideology that brought such plans to fruition. The “other Gulag’ of dekulakized peasants and the settlements where they suffered as “state enemies” now has a fitting account that will preserve their memory.